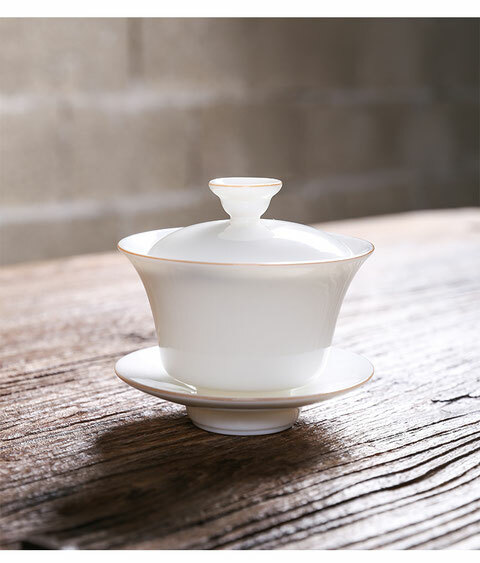 White porcelain emerged during the period of the 3 Kingdoms, the Jin and Southern and Northern Dynasties. In the late Northern Dynasty, Xing Kiln in the Northern Dynasty, Xing Kiln in the north used their unique porcelain clay to make white and fine white porcelain, which invaded the world of celadon. 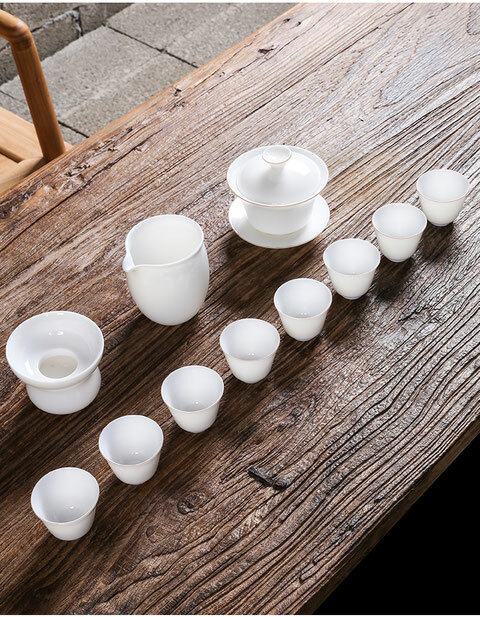 White porcelain evolved from celadon. 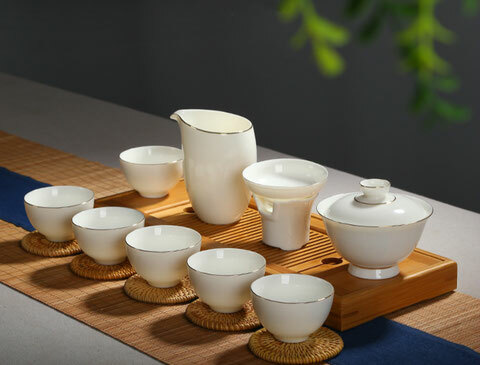 Early white porcelain teawares were light yellowish brown with milky white and bluish yellow glaze. The places where glaze was thin looked moist. 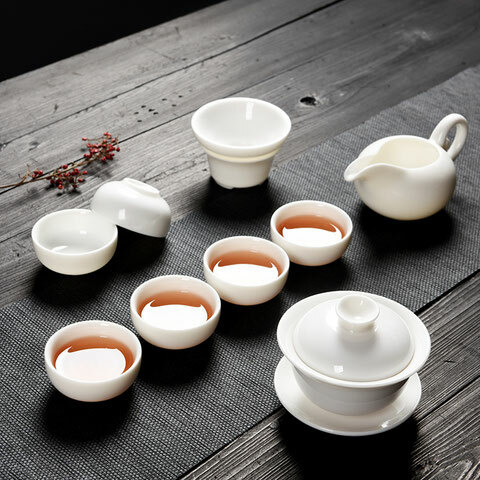 Since the Tang Dynasty, there were many kilns which made white porcelain teasets, for example, Xing Kiln in Renqiu,Hebei Province, Yue Kiln in Yuyao, Zhejiang Province, Changsha Kiln in Hunan Province and Dayi Kiln in Sichuan Province. 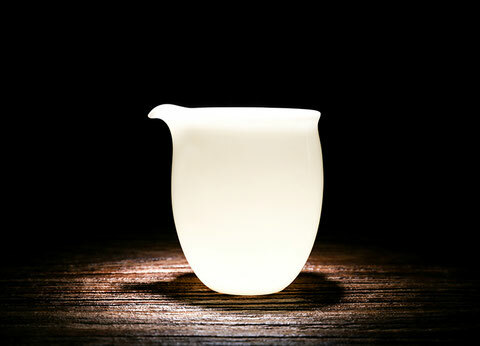 However, the most famous white porcelain teawares were made by Jingdezhen Kiln in Jiangxi Province. They were world renowned for the features of their porcelain, which was ‘as white as snow, as thin as paper, as bright as mirror and as loud as Chime stone’.